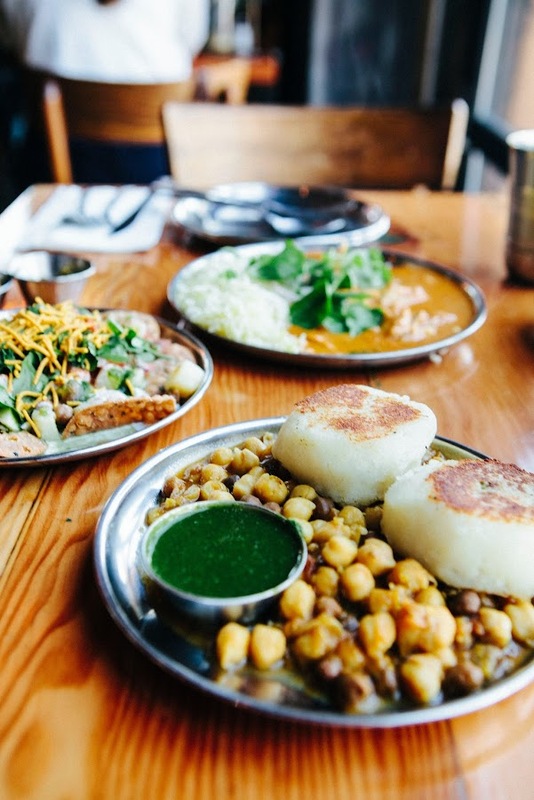 Indian food in Portland is hard to come by; this is something that Erlend, my boyfriend, complains about on a regular basis. His parents were expats stationed in India for a while, and as a result, he'd spent several months and holidays there and frequently craved Indian food. 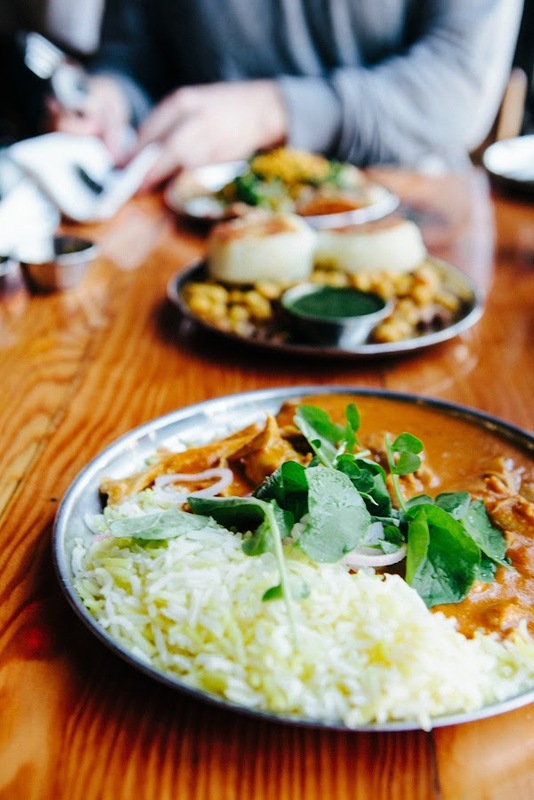 We'd tried several Indian restaurants around town, but were unimpressed; put simply, there isn't enough of it and what is available tends to be standard takeout/buffet-style fare that's hard to get excited about. That is, until Bollywood Theater came along. 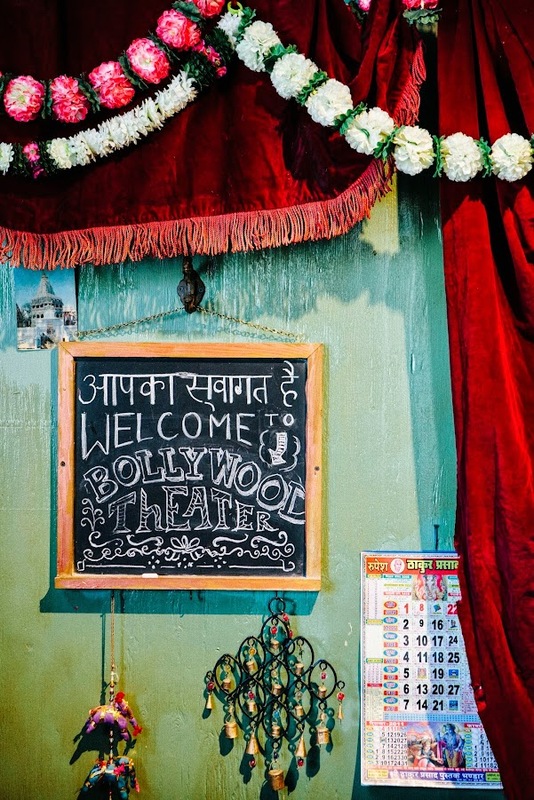 Bollywood Theater is the brainchild of Chez Panisse and Laurelhurst Market chef Troy MacLarty, who recognized the void in the market and opened up the restaurant after longing for the Indian food he used to have in Berkeley. 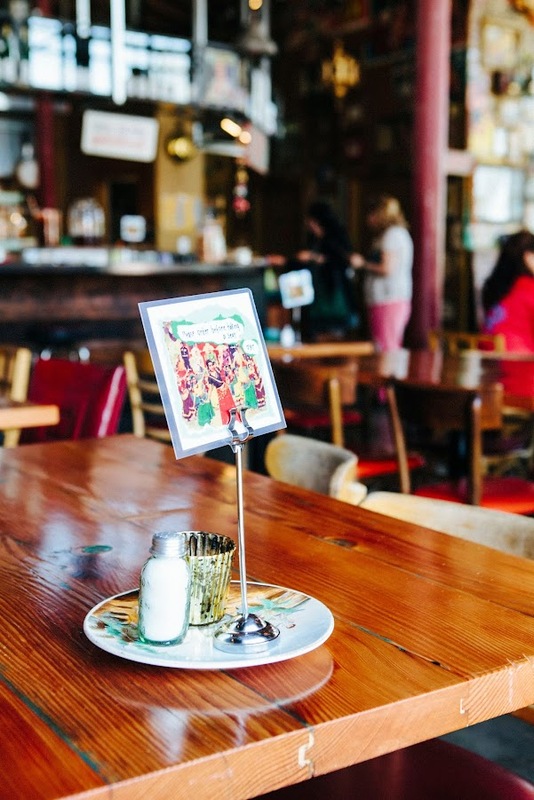 The menu focuses on South Asian street food, and is divided up into Street Food, Small Plates, Thali Meals, and Vegetable and Sides. During our first visit, Erlend and I wanted to try as much as we could and chose a dish from both the Street Food and the Small Plates menu. 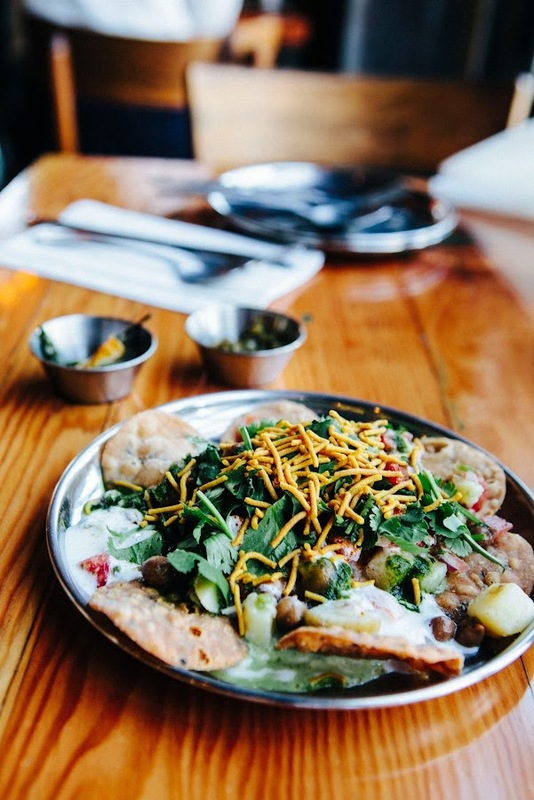 Although I enjoyed both dishes, Erlend found the chaat to be a little dull and explained that it had paled in comparison to what he used to have in India. 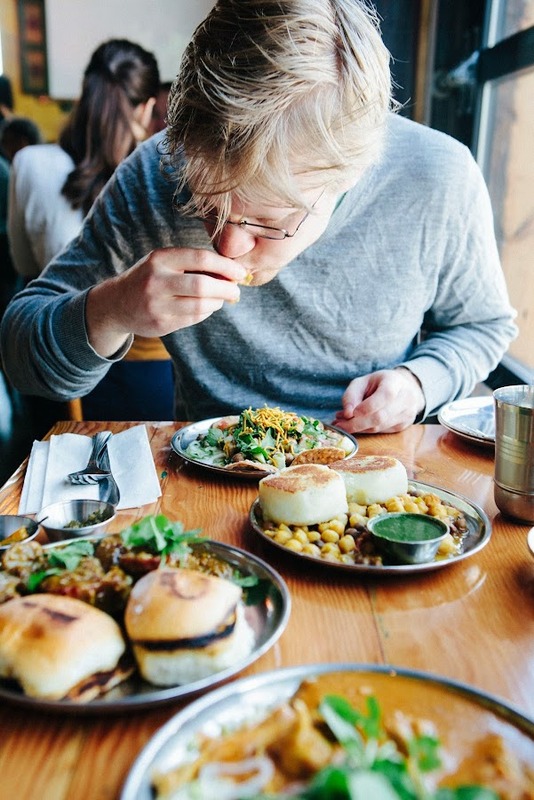 I rolled my eyes and ate more than my fair share of the potatoes in the Aloo Tikki (they were like mashed potatoes, but more garlicky and spicy and delicious) and left all the chickpeas for Erlend to eat. We both agreed that these dishes were outstanding. The chicken in the chicken curry was still tender and obviously high quality; a rarity, considering the cheap Indian takeout we were used to. The real standout, however, was the pork vindaloo. The pork was tender and perfectly spiced, accompanied by soft and buttery Portuguese bread rolls that had been fried perfectly on one side. 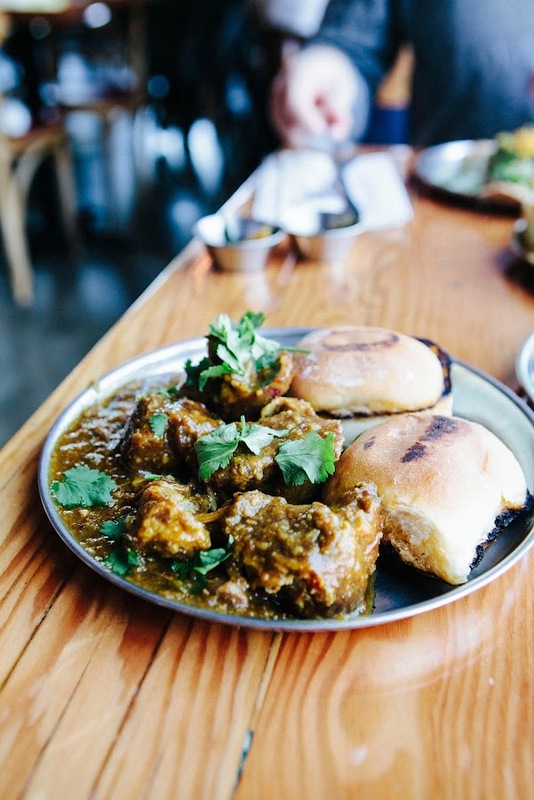 This plate is currently one of my favorite dishes in Portland, and I'd recommend coming to Bollywood Theater just for this one dish. Visit Bollywood Theater's website to view their full menu. There are two Bollywood Theater locations in Portland — one on NE Alberta, and the other a few blocks away from my house on SE Division (this is the one we went to). Note that certain dishes are only available in specific locations. 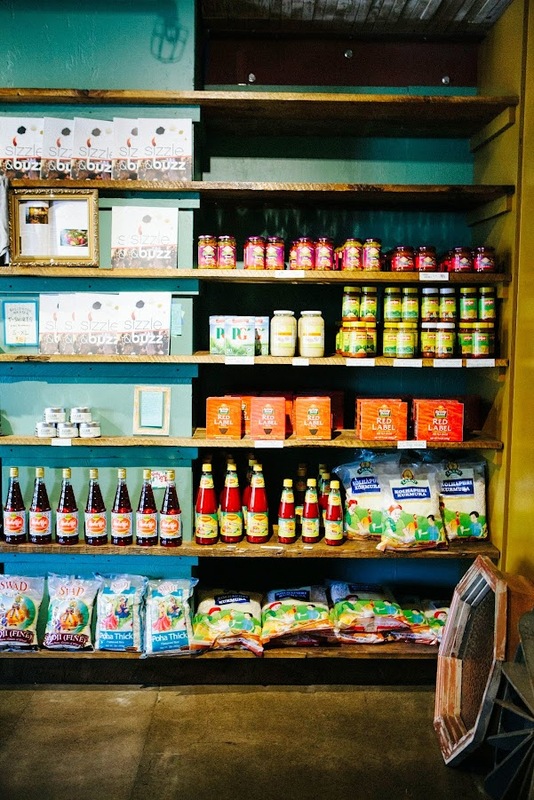 Bollywood Theater was one of the vendors that participated in Feast 2013's Night Market! Learn more about this year's upcoming Feast Festival, and check out my photos of the Night Market from last year. 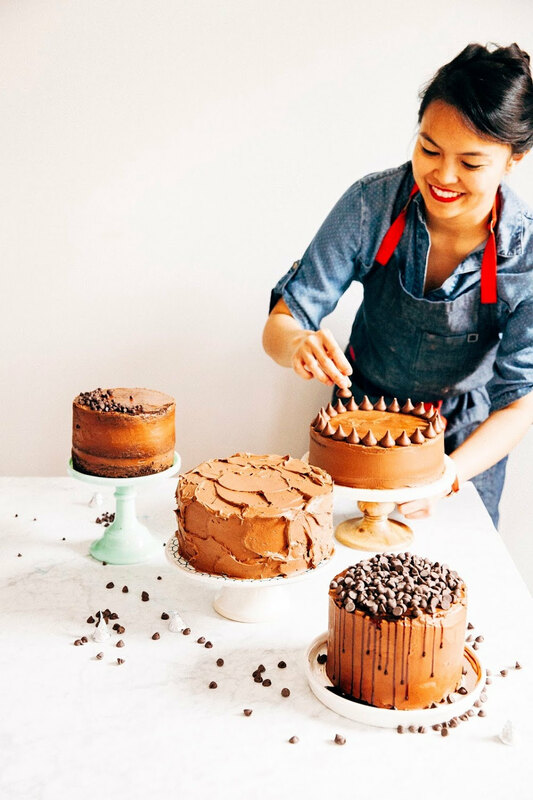 The Night Market was one of my favorite food-related events last year, and tickets go on sale May 19th. Like what you saw? Keep up with my adventures in real time by following me on Instagram. You can also check out past restaurant reviews, travels, and general adventures by visiting my Adventures index. this place looks amazing - traditional yet in a modern way, i dont know if that even makes sense. i dont eat pork but chicken vindaloo is one of my favorites. I wish I had more details to share with you but... the best meal I have ever eaten literally of all time was at an Indian restaurant in Portland while I was on vacation years ago. I have no idea what neighborhood it was in or what it was called but I met the owner and he was this great British Indian man who explained to me how most Indian food you eat in the US is far from authentic and his food represented a closer to reality option that was lighter and more similar to tapas. I kid you not, the food was so amazing it make me cry. Lovely! I've heard such good things about this- I need to go! I walked by the Alberta location recently and couldn't help but stare inside...I had my eyes set on ice cream, though, but I will definitely be making a visit soon there soon! Stunning post! 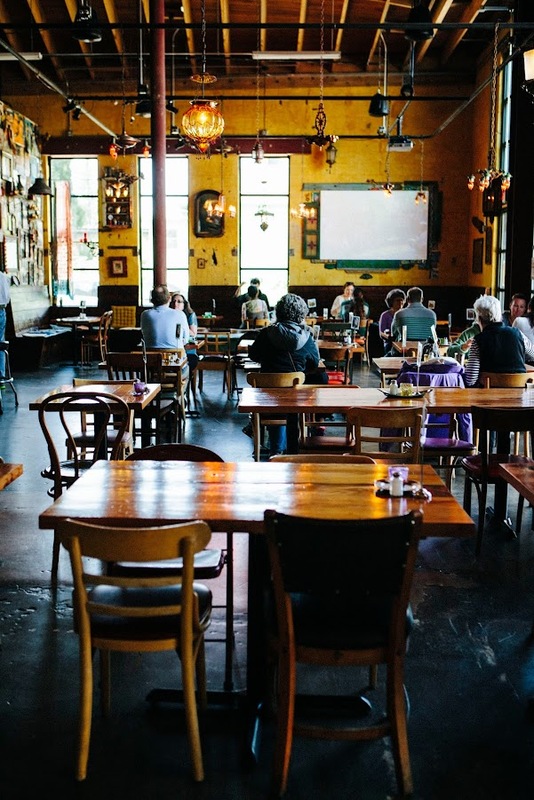 Love the photos & the theme of this restaurant!